Does this sound familiar? You have managed to get your website up and running but now you need people to visit it. You run a Google search to see if your content appears in the search results. Unfortunately, you don’t see any of your hard work or perhaps it does show up, but is appears at the end of the list. Let’s face it, being on the bottom of the list or completely omitted doesn’t feel great. It’s not that big of a deal! After all, you’re just getting started, there is absolutely no reason to get discouraged! With time, effort and patience you can and will start seeing results. There are many methods involved in getting your content to show up in Google’s search results, and those methods are collectively referred to as SEO or Search Engine Optimization. In general, SEO helps to make your content appear in the search results of a search engine. One aspect of a broader SEO strategy is to increase your Pagerank. In the world of Google search, Pagerank is a ranking system that shows the importance of a website. 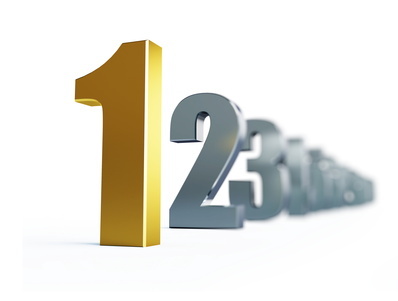 The scale for this ranking system is from 0 – 10. When you first publish your site or some specific content, you will have a ranking of 0 on this scale. With a few steps and some patience, you can begin to increase your ranking. Let’s hit on a few of those steps now. Yes, the number one spot in this guide is the quality of your content. Don’t try to get ahead with gimmicky methods, they just won’t work. Even if you happen to gain some ground with poorly written content, it is likely that either Google’s Algorithms or one of their employees will eventually catch on to what you’re doing and your site will lose it’s position and possibly be removed completely from a given search result. The best thing you can do is write original, quality content that is relevant and isn’t filled with nonsense. Try to stick with something unique or compelling. If the subject you’re covering is widely discussed, then make sure your content has your unique perspective and style. This will not only engage your audience better but it will also prove to Google that your website is important and relevant, which will lead to an increase in pagerank. Keywords are an important part of SEO in general, they help with getting your content in front of people. On your site, you need to use keywords that are not only relevant, but are likely to be searched for. You can check on the most popular keywords by using a keyword tool like Google’s Keyword planner. Just be aware that overpacking your post full of keywords will lead to poor results. Google will notice your keyword crunching, (as I like to call it) and will consider your content to be unimportant and of poor quality. As your site begins to gain visitors you will start to build up a reputation. You should try to reach out to other websites that share similar interests and have a good reputation with their own audience and with Google. Make sure that their content is relevant, don’t just swap links, make sure the end result is providing the visitor with good solid information on the topic they are searching for. Reach out to others and send them an email, then ask to share content or maybe do a guest post for them. Remember that they need backlinks and content as well. Post on other websites that hold discussions and provide answers to questions and then link back to your site. This one is simple, Google likes updated content and so do your visitors. Give people a reason to come to your website and then give them a reason to return. Another benefit to adding more content is that you will increase your chances of hitting on a topic that is highly desirable. This will lead to traffic, backlinks and eventually Pagerank. You also want to continue building a good library of content to provide a richer experience for your visitors and give search engines more and more to pull from. Even after you have taken these steps to improve your SEO and in turn your Pagerank. You will likely not see an increase in your ranking for some time. Google’s systems will eventually come along and consider your website to be of higher importance, but that only happens (as far as I know) a few times a year. If you keep up the hard work and stay dedicated, you should be rewarded with an audience and a higher ranking.